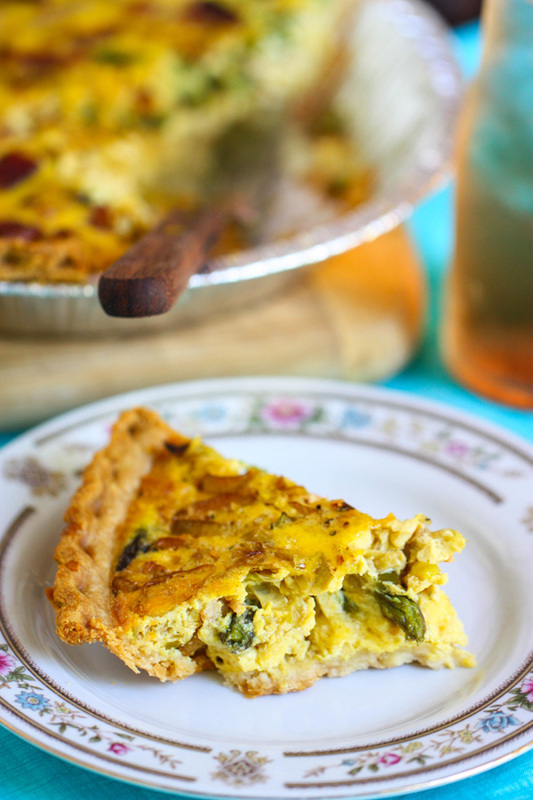 I love seasonal quiches, and this one is perfect for Mother’s Day brunch this weekend! Unfortunately, I don’t get to spend this Mother’s Day with my mom—that’s what living two thousand miles apart gets you! I’ve been having fun imagining what I would serve for brunch if we were closer though, and this quiche is definitely on the list. 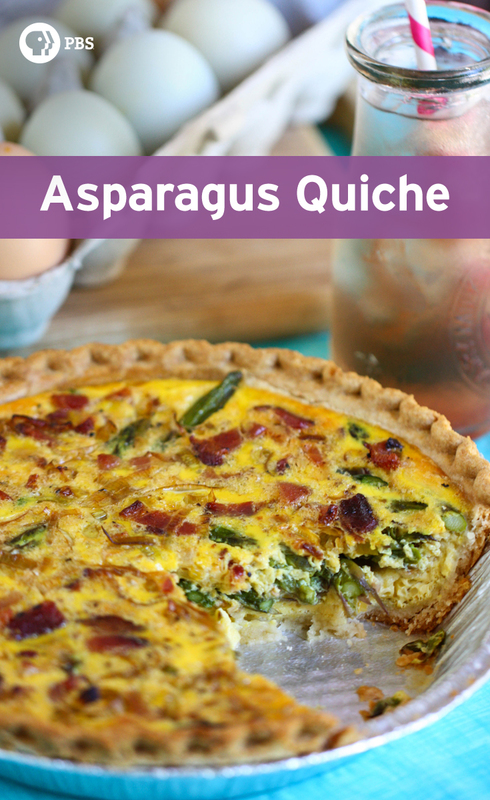 Asparagus, leeks and bacon make this quiche stand out from the rest. If you’ve never cooked with leeks before, you’re in for a treat. Just be sure to wash them really well before using—dirt tends to stick in leeks very easily! For some reason, I feel like quiche has the reputation of being difficult or time consuming to make, but that couldn’t be further from the truth! You could very easily make this the night before serving and keep it covered in the fridge until breakfast. It’s also a wonderful light dinner when paired with some fresh fruit or a green salad, which is how I’m enjoying it since a Mother’s Day Brunch isn’t happening for me this year. Using a pre-made (but still unbaked) pie crust reduces time and dirty dishes! 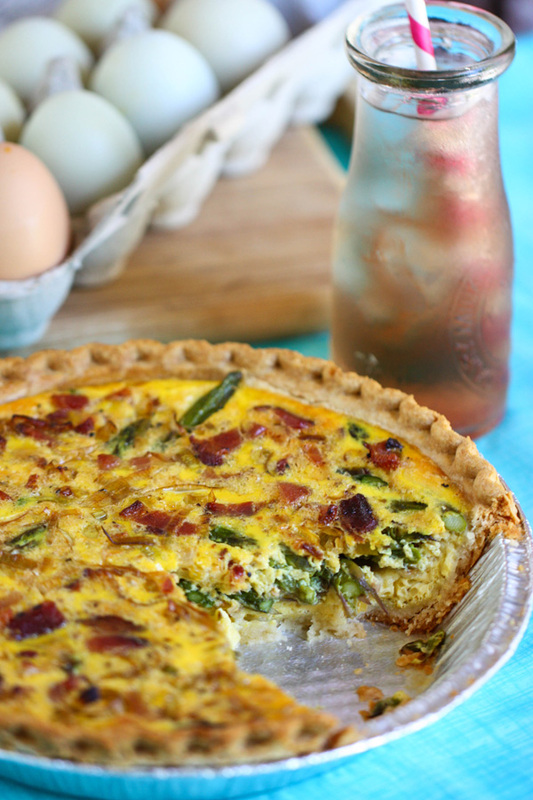 I hope you guys enjoy this delicious springtime quiche—it’s definitely one of my favorites! Enjoy this colorful quiche recipe for brunch or a wonderful light dinner. Jenna Weber shares why she recommends this recipe for a Mother's Day brunch in particular in a full post on the Fresh Tastes blog. 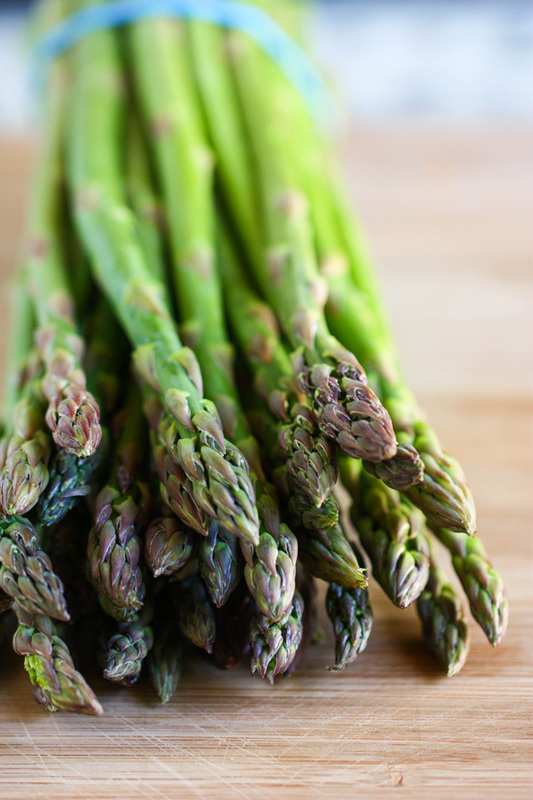 Slice the blanched asparagus into 1 1/2" pieces on an angle and scatter over the cheese in the unbaked pie crust.